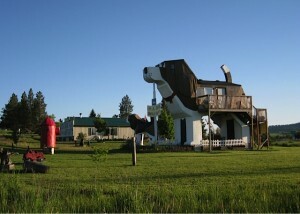 Come visit the World's Biggest Beagle! 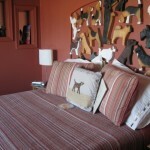 Named Top 20 Most Fun & Exciting Places to Stay in the London Times! 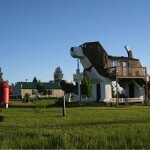 Dog Bark Park Inn in Cottonwood, Idaho is a bed & breakfast guesthouse inside the World’s Biggest Beagle. Guests enter the body of the beagle from a private 2nd story deck. 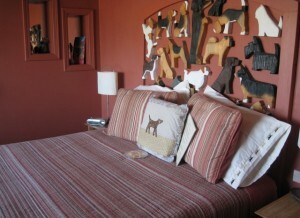 Some of the dog’s decorative furnishings are carvings by Dog Bark Park chainsaw artists Dennis and Frances. 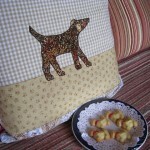 Inside and up another level to the head of the dog is a loft room with additional sleeping space plus a cozy alcove in the muzzle. 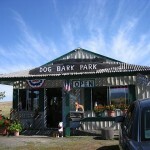 At Dog Bark Park Inn, sleeping in the doghouse is a good thing! We’re in the heart of the Camas Prairie where wheat, barley, canola, blue grass & hay are the dominant crops. 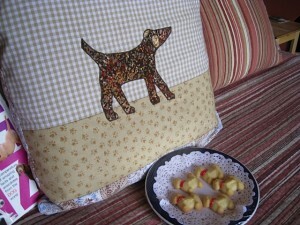 Cottonwood, 944 population is the second largest community on the prairie. It has a compact downtown, regional medical center, Bureau of Land Management field office & nearby Monastery of St. Gertrude. 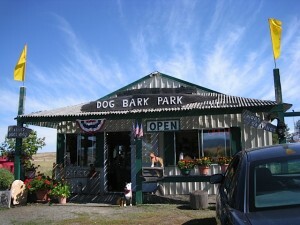 Dog Bark Park is located approximately midway between Yellowstone & Glacier National Parks.